The Movie Mind is proud to present the Greatest Triva associated with the Rocky franchise that has ever been assembled. Just as noteworthy is that this post marks the first guest quiz ever published on TheMovieMind.com! Submitted by a true Rocky afficionado who goes by the name of “A-Lo”, this upcoming series of Quizzes is not for someone who is merely a casual fan of Rocky. If you can’t recite your order from best to worst of all the films with the same ease of your pets’ names, then this may not be the quiz for you (Full disclosure: The Movie Mind’s order – 1, 4, 3, 2, 6, 5). If your favorite lazy Sunday afternoon isn’t spent watching a TBS marathon of all of the Rocky’s, then you might struggle with these. After the jump comes Part I of the Quiz series. 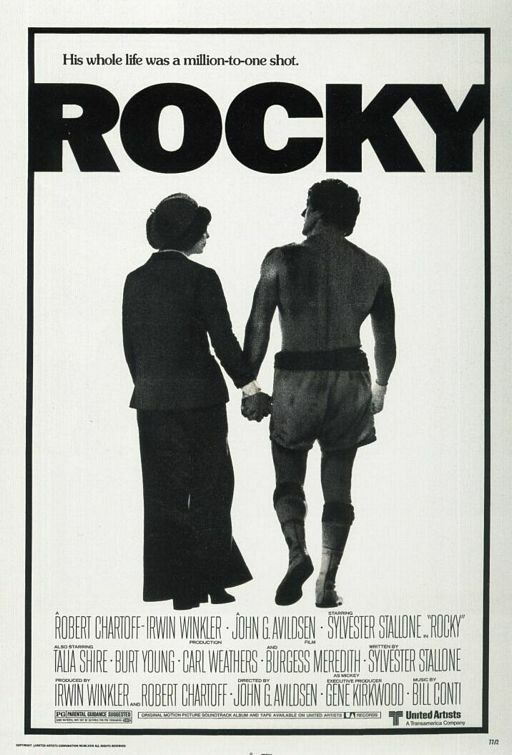 There will be a new post for each of the Rocky films so stay tuned! Please enter your answers in the comments section and then you can highlight the missing text after each question for the answers (answers will only display when you highlight them with your cursor), Good luck! 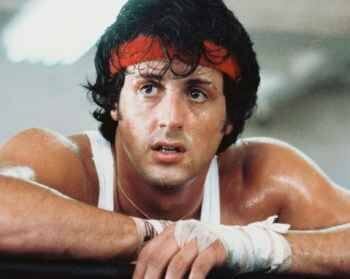 14) What advice does Mickey give Rocky when he gets knocked down late in the fight? Stay down!